Are you looking for a way to improve your cognitive memory and concentration power, try the online games provided below which will make learning fun. Anything that we observe gets stored in our memory but our storage cells have a certain limit, So it is vital to improve our cognitive memory. Human brain has an incredible ability to reshape itself when it comes to memory and learning. You can harness the natural power of your neuropasticity to improve your cognitive abilities, enhance your ability to learn new information, and improve your memory. There have been number of inventions to improve natural power of our brain but they require too much of effort. But playing games to improve memory sounds quite interesting. Below we have provided three best websites which provide games to improve cognitive memory and intelligence. A recent study showed that Dual N-Back improves your short term memory and fluid intelligence. The study says that practicing Dual N Back for 20 minutes for 4 to 5 days a week will improve working memory and fluid intelligence. 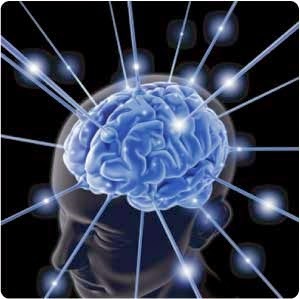 Unlike other Brain exercises Dual N-Back is proven to transfer whatever we gain from training to other Brain activities. Dual N-Back is a square separated to smaller squares (3x3). In the game a image is shown on one of the squares and sound is played, our task is to match the current image shown and sound heard to the one which was shown one or two steps before according to configuration. This game is available for Windows, Android, Mac, Linux and can be played online or offline. Lumosity is another Website which helps you to improve your Cognitive memory and Concentration Power. Lumosity helps you in improving your problem solving abilities, attention, memory, flexibility and speed. You start by selecting the different sides of brain you want to develop. After that it provides incredible games to improve the different areas of your brain. You can track your brain profile and compare your scores with others. IBraining helps users to improve their memory by providing free training regularly with different Brain Games. It traces your evolution and displays some statistics about your progression. You need to create a free account to start using IBraining. So these three are the best games to improve cognitive memory and concentration power as per our knowledge.If you do know any others than this 3 do let us know through your comments. I've not heard of these games but I will definitely check them out because I like games that make me think. I've always found them to be exciting ... sometimes annoying if I have to deal with patterns, but I enjoy them anyways. Woah. Another methods to improve one's capacity! Lumosity is my favorite. It's fun and totally creative. I had gotten myself addicted to it way back! such a nice post, thanks, this games will be very useful in cognitive & concentrating brain power, will gonna try it! I only hear this things before especially lumosity, but now I wanted to try brain games. Thank you so much for sharing these games. I will give them a try and improve my memory in the process. I also like to keep my brain sharp by solving puzzles and having a time limit. this is great, a cool and fun way to exercise your brain! Haven't heard of any of these games but I'll keep them in mind since I'm into these types of games - logic and memory games.